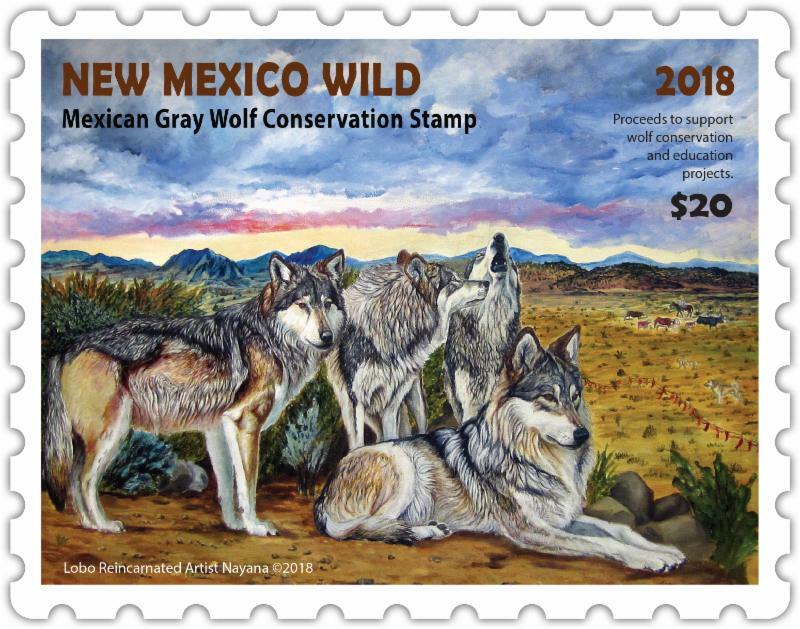 This year's New Mexico Wild Wolf Stamp competition once again drew amazing entries from artists who depicted this beloved endangered animal in various media ranging from paint to photography. The winning artist is Lobo Reincarnated Artist Nayana, who currently lives in Australia and was inspired to paint the Mexican gray wolf during a visit to New Mexico. Thanks to all the talented artists who made this year's selection a difficult task indeed! Wolf Stamps go on sale soon.